Far better known as the cop in the novelty 70s disco act the Village People, Willis is also remembered for a number of drug-related troubles in the early 2000s that nearly up-ended his post-Village People days. But he has now been mentioned in the same breath as Bob Dylan and Bruce Springsteen, after winning a court battle to claim at least a third of the copyrights for such songs as Macho Man, YMCA and In The Navy that he co-wrote for his old group. The former "Macho Man", who says he has a new album, Solo Man, coming out in a few weeks, declined to say what kind of payday he expected the ruling by US District Judge Barry Moskowitz to bring him. "But those songs, they gross millions a year, so it could be a significant thing," he noted. 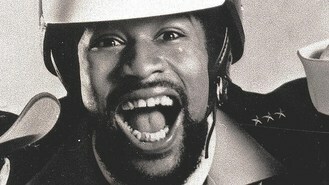 Willis was a musician-actor who, among other things, had appeared on Broadway in The Wiz when Jacques Moreli decided to cash in on the disco craze in 1977 by putting together a group made up of beefy, macho-looking men dressed as a biker, a building worker, a policeman, a cowboy and an Indian chief. Willis, the group's lead singer, was soon dancing up a storm with his cohorts to catchy beats while disco balls glittered and music blared around the US and in Europe. The Village People sold tens of millions of records in the 1970s and Willis co-wrote all the big hits. But he also signed away his copyrights to the songs for a cut of the profits that today ranges from 12% to 20%.